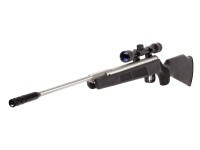 The Kodiak Dual Caliber Rifle by Beeman is an effective 2 in 1 gun that shoots two different calibers! 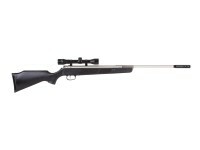 Are you looking for an air rifle that offers the versatility of two calibers? Look no further than the Silver Kodiak X2. 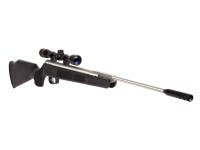 This gun switches between shooting .177 caliber and .22 caliber pellets with a quick and easy barrel change. 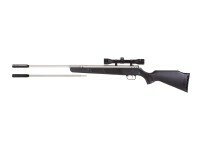 The satin, nickel-plated barrel and receiver are resistant to corrosion while the all-weather synthetic stock has checkering on the grip and forearm for a firmer hold. Get on those pests this season, and stay on them. You're going to love this gun! 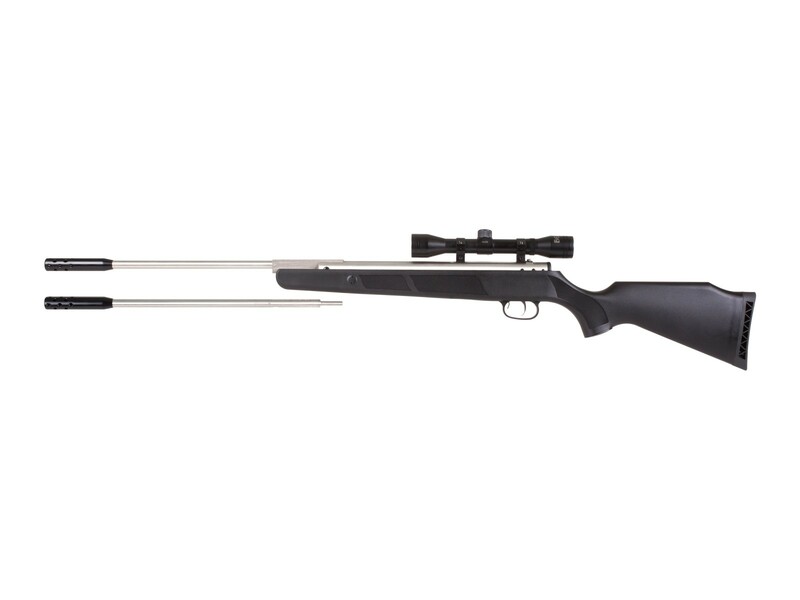 With the 4x32 scope, you're ready to go out of the box. And it comes with a practical case for when the gun's not in use. We've recommended some target traps for you in our accessories section. Most are suitable only for .177-caliber guns. Shooting them with .22-caliber pellets could damage them and/or compromise their integrity. Things I liked: The power is right on par with my more expensive springer. It presents an interesting dual cal concept and unusual bright finish at a pricepoint you can't easily walk away from. Things I would have changed: out of the box the trigger had a mile of horrendous drag travel before the snap, which itself presents a goodly amount of hump to get over. You can smooth out the drag considerably with the rear trigger screw but the length of travel and hump remains the same. Shame, If the trigger were better I'd give it fives across the board for the price alone easily deems any other issues negligible. It jumps on recoil, but so does my 1992 RWS model 38 springer, so I'm real accustomed to that by now. What others should know: I had no intentions of getting this one. Always shooting .177, I was really looking for a mid priced .22 with fully adjustable open sights and a basic traditional wood stock like the crosman optimus or ruger air hawk. But being the only .22 on the shelf, and at a downright ridiculous price, I spontaneously bought one. After a good wire brush and solvent cleaning of the barrel, a couple layers of teflon pipe tape to tighten the tolerance of the barrel insert and set screw, and a dab of locktight on all the optic mounts, the only issue left was the trigger. I managed to smooth it out some but the abrupt hump in the snap takes some getting used to. Ultimately, for the price I can't complain. It shoots straight and hits very very hard. Things I liked: I like that they have two calibers 177 & 22. Things I would have changed: The trigger, it has a long 1st stage and is heavy about 6 lbs. Get a good scope. What others should know: With 22 cal. JSB Exact 15.89 gran I am getting 750 fps.with 19.86 Ft. lbs energy. At 25 yard i get a 5/8 inch group with 3 shots. it will take you some time to get the right hold with this gun and it kicks too. 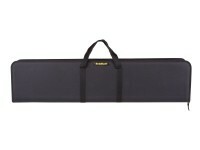 What kind of case is coming with fine dual caliber Beeman rifle please? Is it soft, or is it a good, hard one?